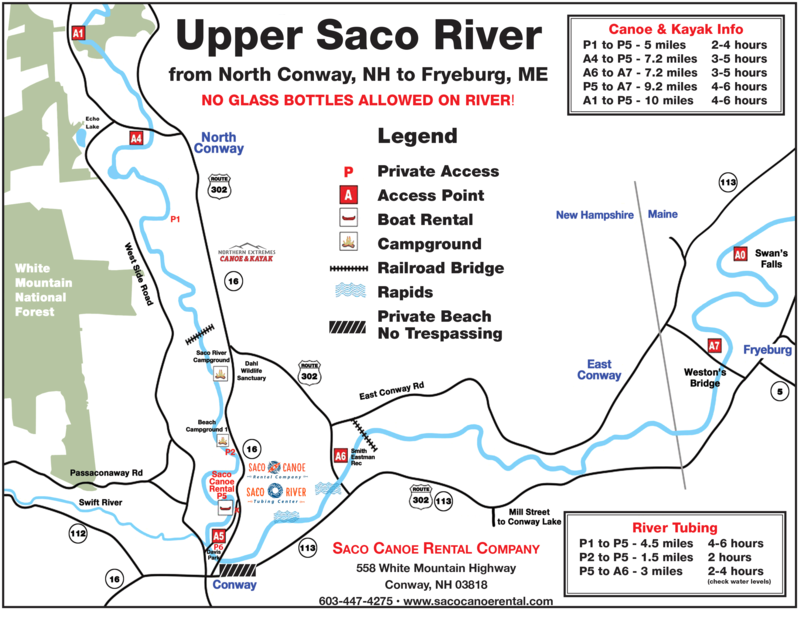 Kayak River Trips | Saco Canoe Rentals - New Hampshire Canoe, Kayak and Tubing Rentals on the Saco River. 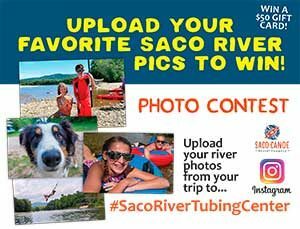 Offering the most Saco River Trips in the Mt. Washington Valley! The Saco River will be the highlight of your vacation! Saco Canoe Rental Company has the largest kayak rental fleet in North Conway, NH. We feature brand new Old Town and Perception Kayaks. All kayaks feature: cup holders, foot pegs, adjustable seats and an access hatch. Our 14 ft touring kayaks feature dry storage and are better for longer paddles or area lakes. Leaves from our Northern Extremes Office. This 3-mile paddle starts at First Bridge and ends at our private, 15-acre beach. Trip features lots of sandy beaches, small riffles, and great views of Mount Washington, Cathedral Ledge and Cranmore Mountain. This five-mile adventure is great for first time paddlers and families. This trip begins from our private 15-acre beach and features sandy beaches, rope swings and lots of scenic mountain views. Great trip for individuals who want to spend the entire day on the river. Trip starts in North Conway at the base of Cathedral Ledge. Trip features a few small riffles, sandy beaches, rope swings and mountain views. Great Fly Fishing too! This trip is for people who have previous kayak experience. Guaranteed to get wet! This section features 4 short section of class I rapids, the most exciting section of the Saco. Offered in single kayaks when river gauge reads 350 cfs to 1000 cfs. The Saco River is not an Amusement Park. There are no lifeguards on duty and natural hazards exist. Saco Canoe Rental Company does not maintain any rope swings along the river. Many have been there for years. They are maintained by local kids and are inherently dangerous. Spend the summer floating on the Saco River! Our season pass is good for a float any day!